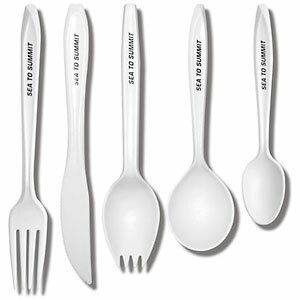 Visit Sea to Summit's Polycarbonate Utensils Set page. 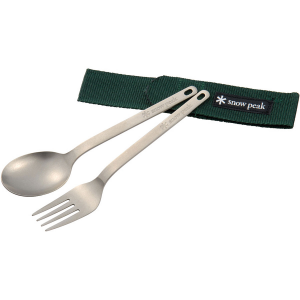 Sea to Summit added a plastic carabiner to the Polycarbonate Utensil Set so you're less likely to just pack the knife and forget everything else. 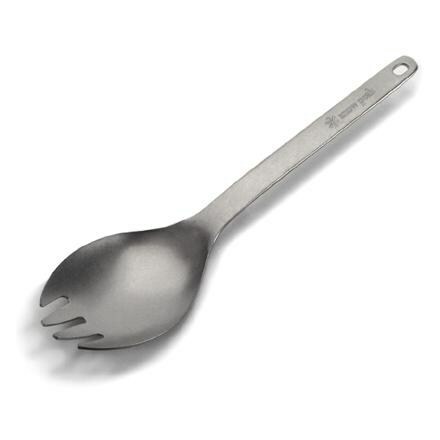 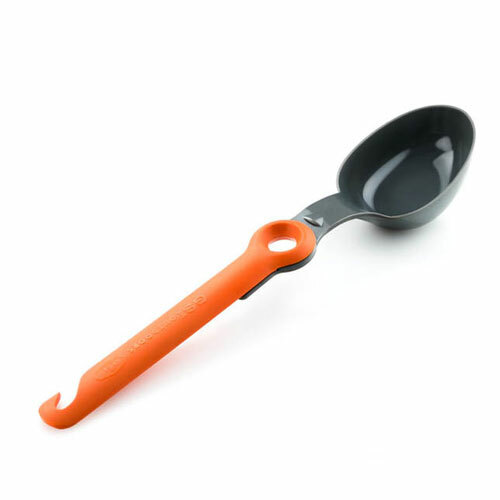 Plus you get a fork and a spoon instead of a spork, which is nice when you have the extra room and don't feel like jabbing your tongue with fork prongs when you're trying to eat soup. 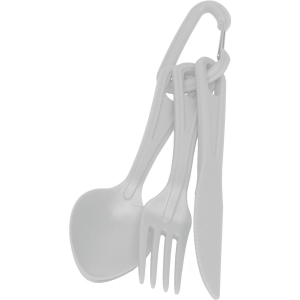 The Sea to Summit Polycarbonate Utensils Set is not available from the stores we monitor. 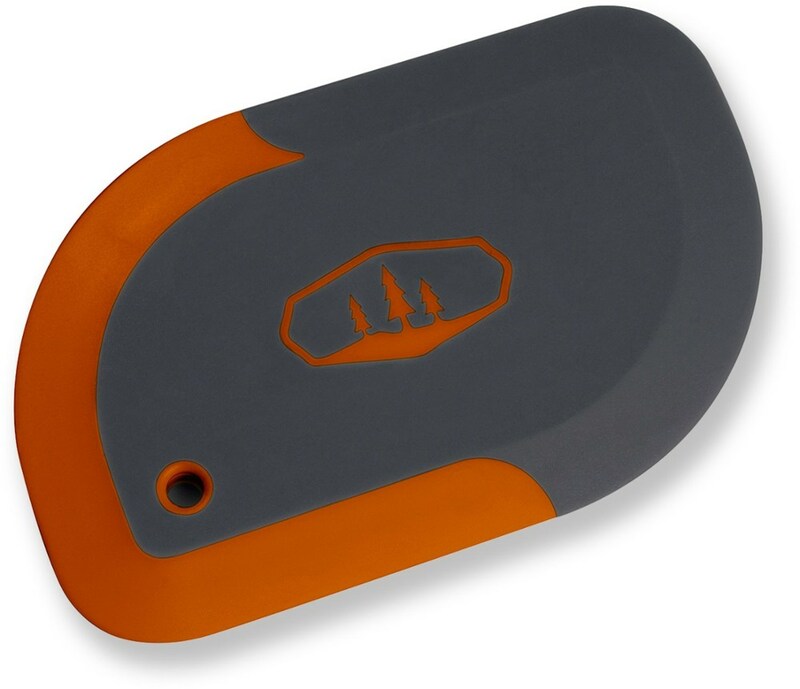 It was last seen March 27, 2019	at Massey's Outfitters.